The German government summoned Daimler AG executives to Berlin to explain the carmaker’s role in possible diesel-emissions cheating after two engines used in Mercedes-Benz vehicles drew increased scrutiny from prosecutors. Daimler confirmed that several of its representatives are attending a special hearing on Thursday afternoon into the diesel scandal called by the German Transport Ministry a day after news broke about the scope of the probe by Stuttgart investigators. Sueddeutsche Zeitung reported, citing unidentified people at the ministry, that the country’s automotive regulator will test the company’s vehicles for potential emissions-manipulating software. Daimler spokesman Hendrik Sackmann declined to comment on the report immediately, while the ministry didn’t immediately respond to emails seeking comment. 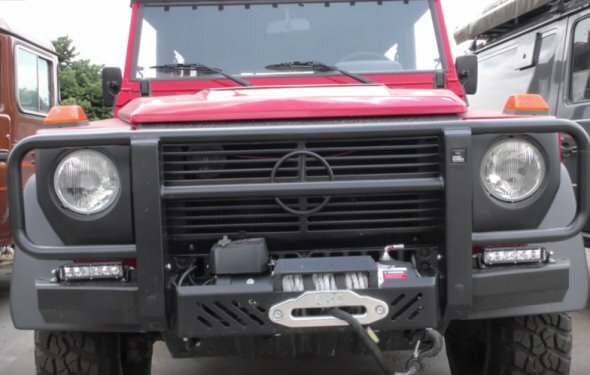 A person familiar with the investigation said Thursday that, according to the warrant authorizing searches at Daimler sites in May, prosecutors focused on two diesel motors allegedly equipped with so-called defeat devices that would reduce emissions controls. The Mercedes GLK 250 and GL 350 sport-utility vehicles are among models at the carmaker that use the engines. The probe is looking into sales from 2008 to 2016, said the person, who asked not to be identified discussing an ongoing investigation. The Stuttgart-based maker of Mercedes-Benz luxury cars is one of a number of auto manufacturers targeted in a technology scandal that’s enveloped the industry since Volkswagen AG revealed in September 2015 that it installed software to bypass pollution rules. Hundreds of police officers and prosecutors participated in the searches at Daimler sites throughout Germany in May as part of a probe opened two months earlier. “Daimler appears to have taken their interpretation of what’s technically allowed on emissions treatment too far, ” said Juergen Pieper, an analyst at Bankhaus Metzler in Frankfurt. “The question now is if they’ve broken the rules on purpose or have been bending them too far.” He estimated that any upgrade required for the cars would cost about 500 million euros ($570 million). Daimler shares fell 0.5 percent to 65.15 euros at the close in Frankfurt, partly recovering from a drop of as much as 3 percent. The stock has declined 7.9 percent this year, valuing the automaker at 69.7 billion euros. Investigators, who began looking into possible fraud and false advertising at Daimler in March, have identified two technicians at the manufacturer who are suspected of handling manipulated software that controls the engines’ exhaust, the person said. The warrant doesn’t specify the number of vehicles affected, the person said.